When: Sat., May 4, 1-8 p.m. I Love You More / The Michael Trella Foundation would like to invite you to an afternoon of friendship, cocktails and fun as we watch the "Greatest Two Minutes in Sports", the Kentucky Derby! 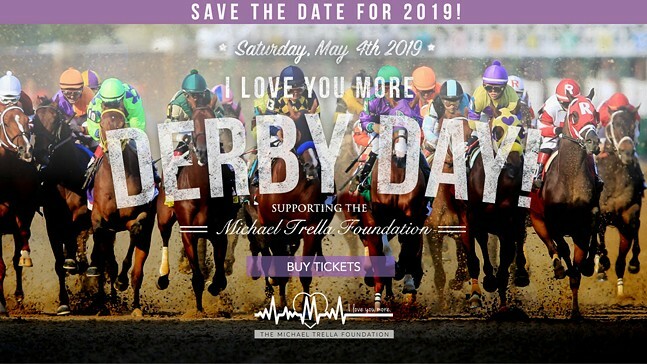 Start putting together your finest Derby attire and get ready for a great day of fun.